Here we are on the last day of 2014. And we have come to our final task of the Final Countdown. You all are doing some great things to your sewing spaces! I love hearing about it, because it inspires me, too. I told my friend, Lori, that I feel like a hypocrite giving organizing advice, since I’m one of the most disorganized people I can think of! But then again, when you’re trying to lose weight, you don’t like to get your advice from a skinny person who’s never been fat, right? You want someone who can empathize . . . well, when it comes to disorganization, I can sure empathize . . . by example, even! Every year, I end up at this point with the same darn messes over and over and no clear plan in place to keep them from happening again the next year. What I want us to do today is choose something to do that helps keep things organized, and make it something that can be done regularly. Make that into a habit that you do every so often — monthly, weekly, even daily — and put it into your calendar or to-do list and do it — to help keep your space a little bit neater and help you be more productive. I get to sew every day all day long (what a blessing), but I know some of you who have jobs outside the home only have limited time for sewing (because that’s how it used to be for me). Just think, if you keep things in order all the time, it would save you time when you do finally get into your sewing space so that you can get right to stitching, instead of having to clear a space to do it, or look for a missing tool, or gather up all the parts and pieces of your project. A novel idea, right? I also understand the dilemma of having to share your sewing space with other household functions (or household members) — mine used to be the kitchen table. Well, you need the kitchen table for meals every day, too, so you’re always moving stuff back and forth. Perhaps, in this case, the best habit to adopt is to make a way to clear the area easily and put things back. A tote with everything needed for the project all in one place. Just move the tote to the table, set up your space, work, and then put it all back in the tote. As you change projects, you can change the tote’s contents. But it would sure beat having to search high and low for all the project’s pieces every time you want to work on it. Ask me how I know this! I personally have several things I could choose from, and I might try more than one, to see if I can make more than one good habit stick this next year. 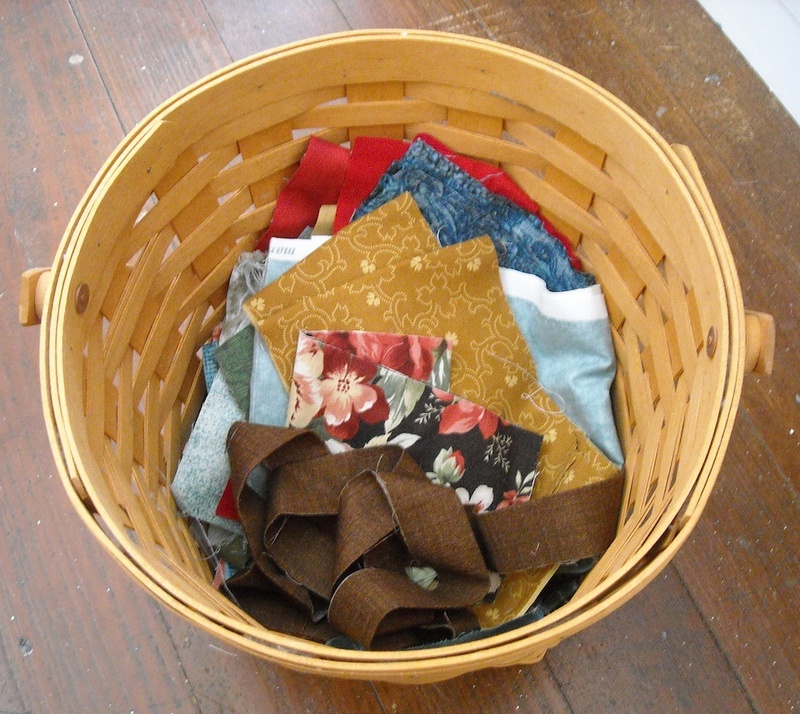 I keep a little basket for leftover fabric scrap pieces I want to put away, or sort into my scrap system. Sometimes, I let the basket get a little too full — OK, OK, it literally overflows, who am I kidding? Here’s a picture of it from the end of 2010. See? I do it every year! 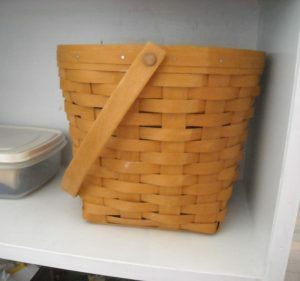 I want my new habit to be cleaning out that basket every week, so that it never gets out of control. And I did it on the first day of the Final Countdown — see it now? Please don’t take any bets on if I can keep it this way . . . but I’m going to try to develop the new habit of taking care of it each week. I also have a really bad habit of piling any new magazines or books I get in really inconvenient places when I first get them. I tell myself this is so I will remember that I haven’t read them. If I’m going to continue to do this (and I probably am, knowing me), I want my new habit to be dealing with them every week. First, I need a new temporary holding area that is in a good spot. Then I’d like to spend a little time each week reading or going through them, and then find them a new permanent home. Karen did a really neat thing with her patterns she prints off the internet — it’s a great idea — go check it out HERE! What new habit would you like to develop? What new habit would help you be more productive with your creating? What new habit would keep the crazies at bay, every time you sit down to sew? What new habit would make your sewing life easier? You realize, the first time you do the habit, it might take some time, and it might be difficult? However, once you get it under control, and it becomes a regular habit, each time you do it will be easier and easier. For instance, my setting up a system to deal with the paper may take me a while at the start, but once I have it set up, it should be easy to maintain. I’m sure once it becomes a habit, I’ll wonder why I didn’t adopt that habit sooner! What I’d also like for you to do in the comments (or in your own blog post) is tell everyone what your new habit is going to be. This way, we can all get lots of organizing tips from each other. Lots of you have some great ideas, and if we all share them, we’ll all benefit! I’ve updated my post from yesterday with what I got accomplished (which was not what I expected to get done). I still have plans to do more. We have until Monday (the 5th) to finish all these tasks. That’s when I’ll draw for the prizes. Be sure and leave your comments on the posts to be eligible for the prizes (because I won’t even know you’re playing along if you don’t leave a comment). If you’d like to join me all year long for some mini-organizing tasks, check in tomorrow. I’m starting a Studio Organizing Challenge — one organizing task each week (posted on Thursdays) to help make our sewing spaces into places we love even more than we do now! I’m doing this more for myself than anyone, but I’m inviting you to join me. I think having you all along for the ride will inspire me to do better (and make me a bit more accountable). There are no prizes for the weekly challenges, but we will end up the year with yet another rendition of The Final Countdown, which will have prizes, as usual. Check in tomorrow for all the details . . .
Now, go pick your new habit and let us all know what it is! I must be psychic (not psycho or physic). I walked into my sewing area and loved seeing the carpet. What a change. I grabbed an overflowing scrap bin and a 2.5 strip bin and decided to make them neater. Turns out that I had been throwing anything that looked like a strip in the strip bin. I took out everything that could make a consistent strip and sorted them into three sizes and threw away the rest. And the scrap bin was even worse. 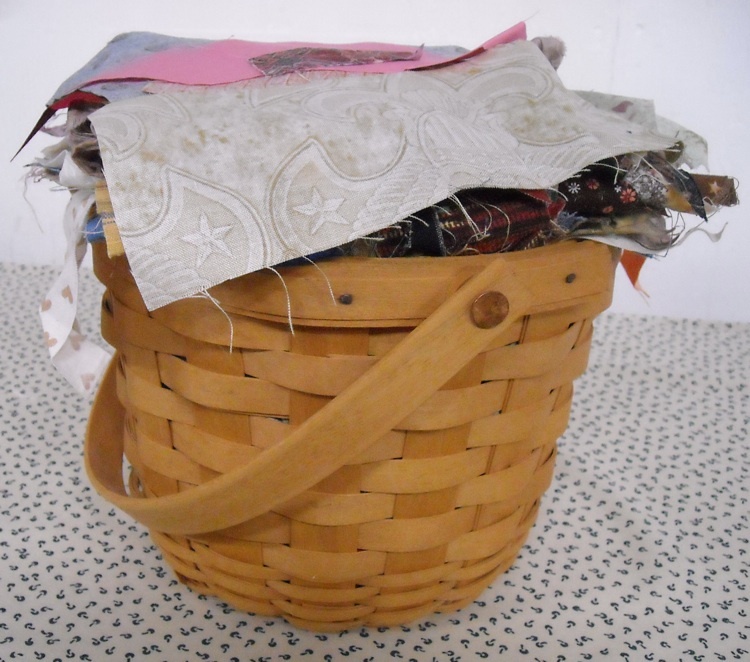 I pulled out stuff to donate to the new quilters in Edina, threw away stuff that would never go into a quilt. Where do I get that stuff!! And here is the news. I plan to keep these two bins sorted more neatly all year. Ok, today I organized my Jelly rolls and charm packs and layer cakes. Didn’t realize I had that many. Now to find the patterns to go with them. Each pack was bought with a quilt in mind. I really need to print them out and put them with the fabric I want to use for it. Then when I want to make that quilt it will be all together. Even at my age 72 I can still be more organized. Your never to old to learn new things. By the way. I emptied 4 big bins of fabric and put them on my shelving unit. But I don’t think that was a good idea. Although I can see what I have it is more out in the elements and dust can do awful things to fabric. I plan to get see through bins with wheels and putting them back down in the basement. I think all I’m going to keep upstairs in my sewing room is the projects that I have started. That way maybe I’ll get caught up a little. I had 7 quilts to finish and just cut out 10 more. DUH!! I think that’s the way to go for me. What do you think. My room is only 8×10. My new habit will be to put up one project before getting out another. Now that my projects are organized, this should not be hard to do. I didn’t get my Easy Street together, as my daughter will be sleeping in the bed it was on until Monday. I will work on hand projects until then. Happy New Year, Shelley. Thanks for the final countdown. It really inspired me!!! My new habit which I started in November because I couldn’t find all my tools was putting them all in a pen holder (a big coffee cup which was gathering dust on the shelf because it had a chip in it) It’s a snowman cup and I have a set of them. I use two of them. One for my Frixion pens and one for the seam ripperS and scissors.. and my chapstick. LOL.. I am also going to get in the habit of straightening things up when I am done for the day. I think I’ve got to be about the paper on this one. I am the bill-payer, budget-tracker, and saver. This year, I bombed on filing and sorting, so taxes will be a bear. I think I’ll make a goal of working on filing, etc., three times a week until I’ve got the new stuff in place and e old stuff cleared out. Great challenge! This might be my favorite so far. I have been thinking about organizing my design work more effectively and now I have a special notebook for ideas and plans. Very exciting! Thanks for the nudge. This is a difficult one. There are so many things I could do differently. I think I am going to say the main new habit is to clean up after each project, even if I’m in a rush to get to a new project. 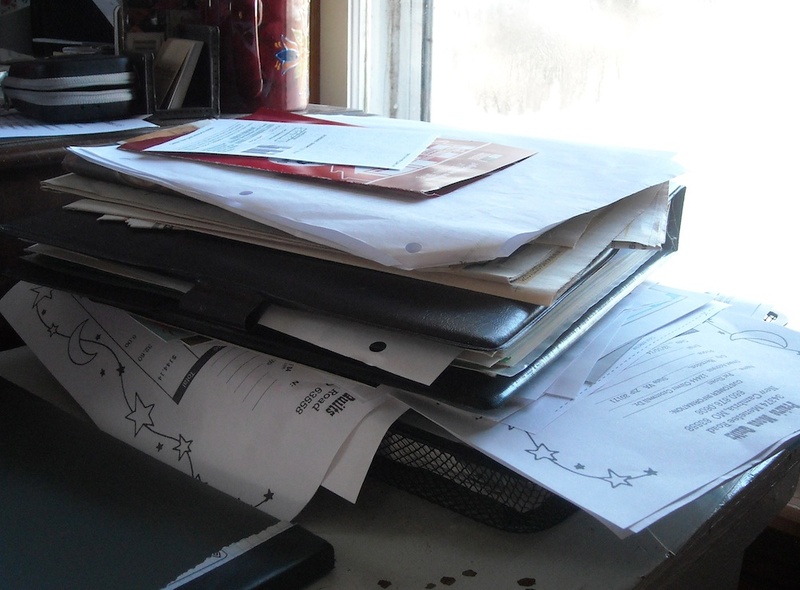 Then, the second habit would be to maintain an handle on my paper mess on a weekly basis. I am going to try to implement three new “habits” for 2015. I actually had these already written down. The first is I want to make a Christmas gift every month….at least one. That way at the end of the year I have at least 12 gifts made up. 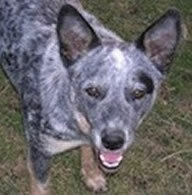 The second is I am going to kit up some projects so I have them ready to go or take with me at the last moment. I have a bunch of wool projects I want to do, but I hate the prepping. The third and probably the hardest is I need to work on processing my scraps better. The problem is I have said this before and didn’t stick with it. I had tried 15 minutes a day, but since that didn’t work before..maybe I should try something different. Last year, I started a sewing room journal with goals for the month and a block count for the 350 blocks project. It has been very helpful in keeping me on track and realizing I AM accomplishing something. For instance, I bought my Viking Mega-quilter in January ( used) and vowed to quilt all my quilts until I had reimbursed myself ,in potential fees,for what I had paid for it. I got to December and realized I had quilted 10 quilts. At an average of $100. Per quilt, I had it more than paid for. I probably would not have realized that fact if I hadn’t had the journal. Therefore, my new habit I hope to establish, is journaling weekly, instead of monthly. And my word for the year is “Feathers”. 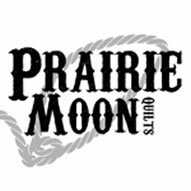 My goal this year is to become proficient at quilting feathers. I will think feathers, dream feathers, draw feathers and quilt feathers. I think my goal is going to be to put everything away when I finish a project. It’s so easy to leave scraps and supplies laying around, and then I end up with a huge mess that I can’t imagine trying to tackle. If I force myself to put everything away before pulling out the next project, I can avoid that. Thanks again for this fun challenge, and I’ll most certainly join in on your Studio Organizing Challenge! What a great idea! Oh and Happy New Year to you and your Cowboy! 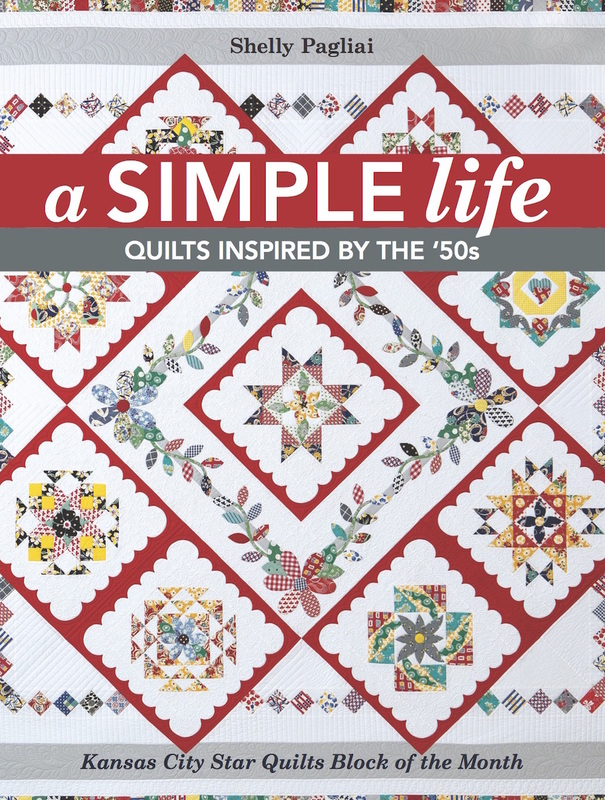 I have a scrap quilt pattern that I want to make so my new habit for 2015 will be to cut some squares for this at least every month so that one day I will have the 1200 squares needed to put it together. It will also pare down my scrap bin. Well, this was a good challenge to really think about. Last year I began to keep a sewing journal. I got the idea when I found my Mom’s sewing journal and read about the clothes she made us as we were growing up. I even saw the entries for where she bought the fabric and pattern for my wedding dress, and the dates she worked on it (34 years ago) and all of the bridesmaids dresses. Oh how happy that made me when I found it, especially now that she’s gone! I haven’t been very consistent in making my entries into the journal, but now I leave the journal open and right by my sewing machine. By keeping it dated, I immediately know if I’ve forgotten to make an entry and I’ll be able to catch up quickly. It is my hope to keep it current this year. 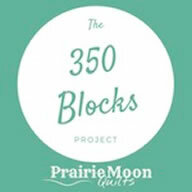 This will also help me keep track of the number of blocks I complete each month for the 350 Blocks Challenge! Thanks for the encouragement to always do better!